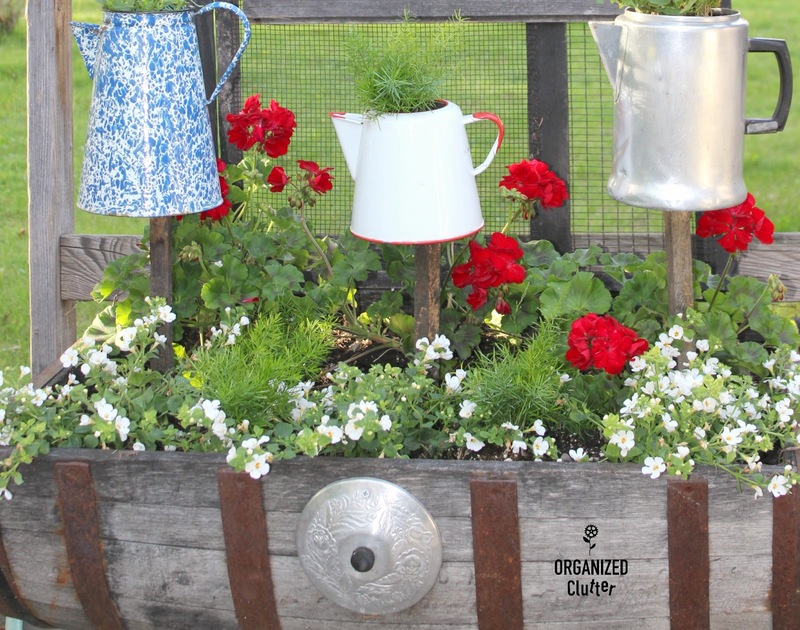 I have planted annuals in old coffee pots for years now. But, last week, I got the crazy idea to add wood stakes to the bottom of three old coffee pots. I purchased a 6 pack of rough wood garden stakes at Menard's for $5.00. I made the stakes three different lengths, allowing for part of the stake to be in the dirt. I attached the stakes through the bottom of the coffee pots with a washer and a screw. I then thought the wood looked a little too new and applied some vinegar and steel wool stain. (The recipe is all over Pinterest). The bottom of this length-wise half barrel was planted with red zonal geraniums, bacopa and asparagus ferns. 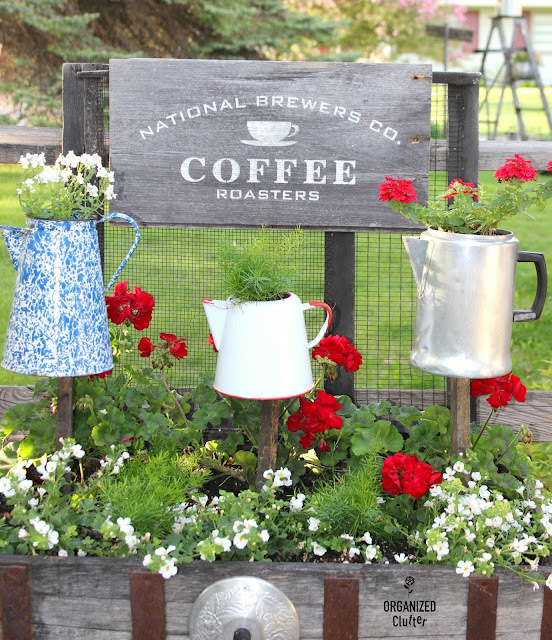 The coffee pots were planted with a white compact nemesia, another asparagus fern and a red verbena. How's that for adding vertical interest in the garden? 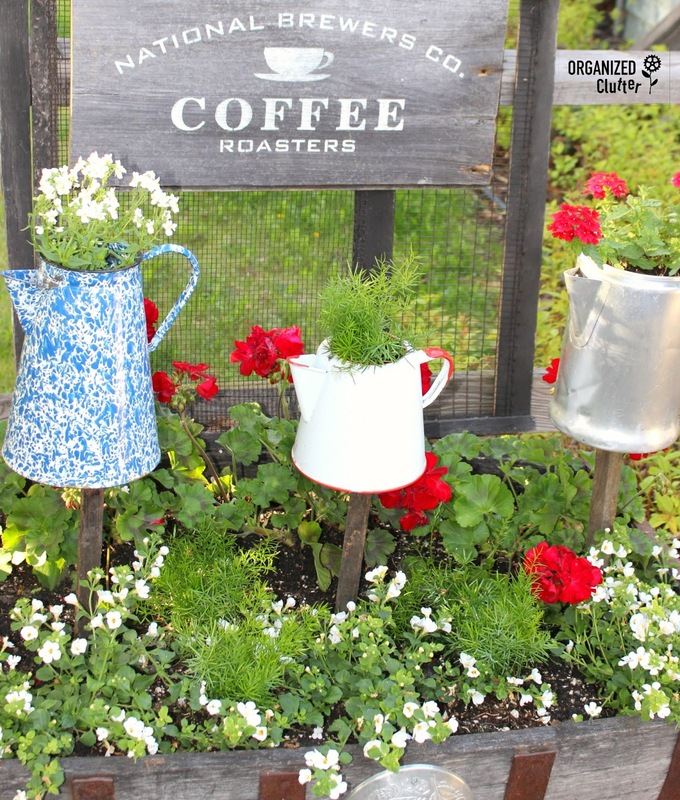 Then, to add a little more fun to my three funky, raised coffee pot planters, I stenciled a coffee sign from *Funky Junk Interiors Old Sign Stencils on barn wood. This garden junk project combines my love of junk, coffee, old coffee pots, flowers and my new found love of stencils too! What a great idea! And the coffee sign pulls it all together. This makes me smile! Thanks. So fun - I just love seeing Donna's stencils in projects. Love that enamel too never thought about adding it to a stick, great idea. LOVE this project!! So cute! Your flowers are always so beautiful. 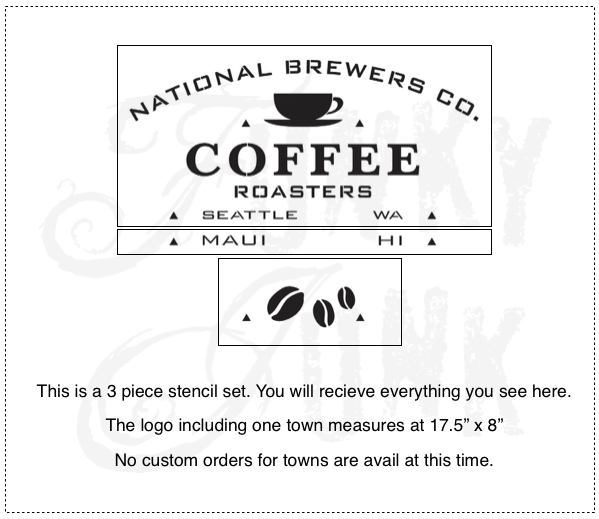 The coffee pots on the stakes and the sign is just adorable. 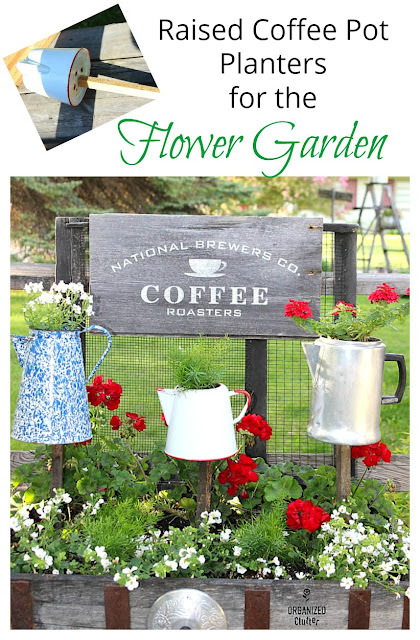 Your coffee pot planter and sign are just as cute as can be! Oh boy - I love this idea! So cute! Very clever & adorable! I'm going to have to check out local thrift stores for the old coffee pots now!!! Great Idea! Carlene - so cute. I love that you varied the height of the pots. So pleasing to the eye. I love this , what kind of washer (and where did you put it) did you use on a square stake? 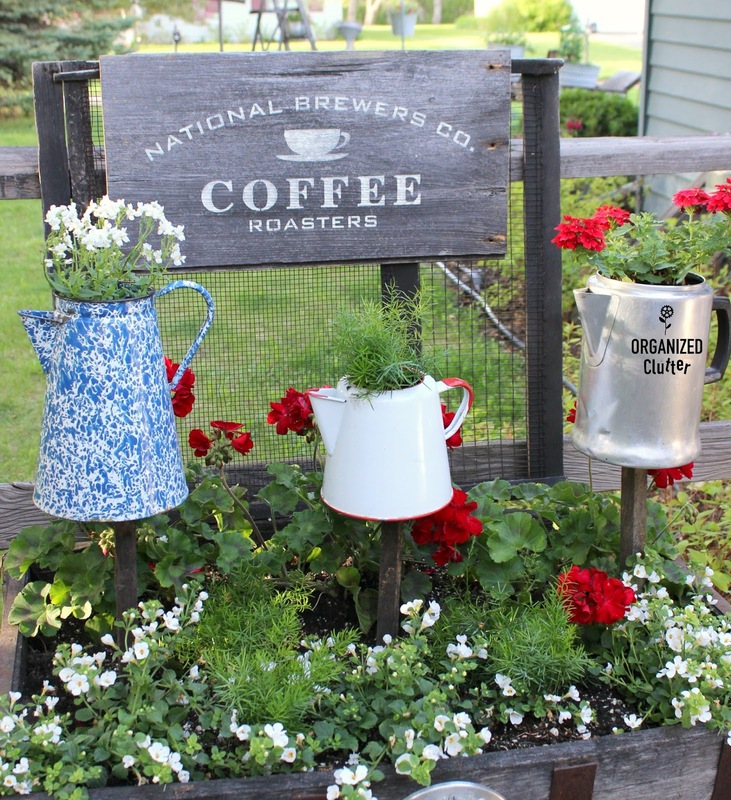 Love the coffee pot planters. How creative.